It might only currently make up 4% of plantings in New Zealand’s Hawke’s Bay but Syrah is the variety that will become synonymous with the region in years to come argue two of NZ’s top winemakers John Hancock from Trinity Hill and Steve Skinner from Elephant Hill. They demonstrate the role played by soil structure, altitude and proximity to the sea in three sub-regions: Bridge Pa, Gimblett Gravels and Havelock Hills & Maraekakaho. Much ado about nothing? 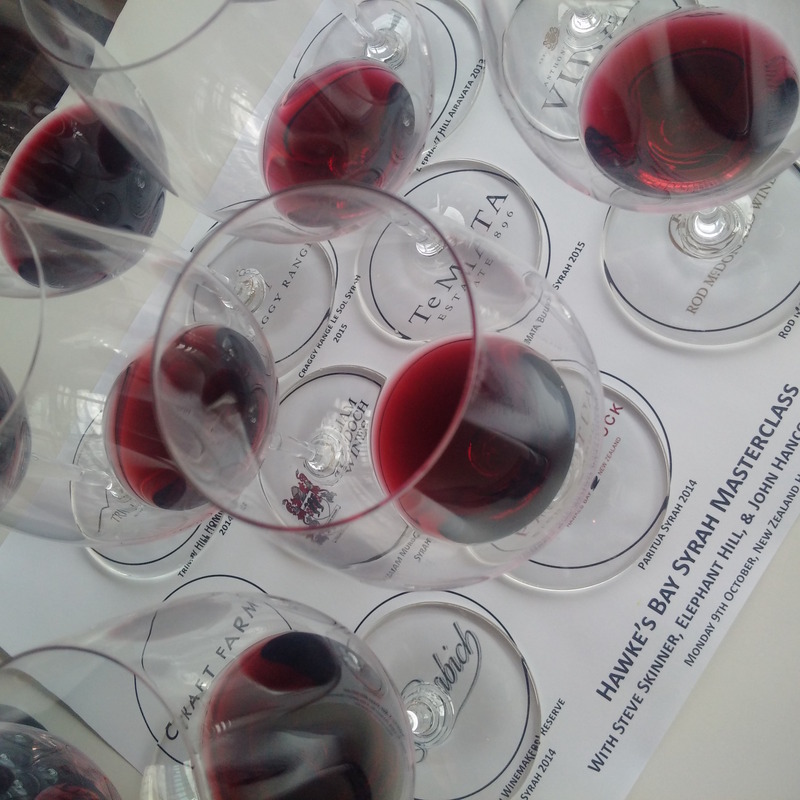 We don’t think so as the evidence that Hawke’s Bay Syrah can provide an exciting array of distinct styles is there to see and taste in the glass. 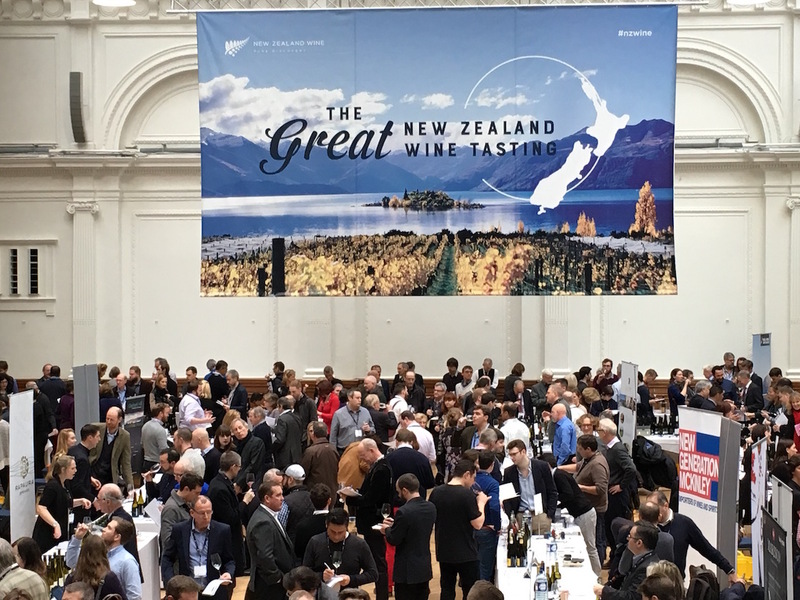 New Zealand is just one wine-producing country on a global trend – and no, the trend is not a new grape variety or even a wine style, the trend is one of ever closer mapping, ever greater scrutiny of soils and sites, ever more distinct sub-regionalisation and, in that very process, a deep engagement with and profound exploration of agricultural land. A very ebullient Hancock framed the debate early on when he put Syrah plantings in context. He first outlined the very recent history of Syrah in New Zealand. It did not start until the mid 1980s when Dr Alan Limmer rescued some 20 Syrah vines from a grape research centre in the Waikato as they were shutting down their nursery operation. Apparently these Syrah vines could be traced back to the vines brought over by New Zealand governor general James Busby (of Australian wine fame) in the 19th century from the Rhône. 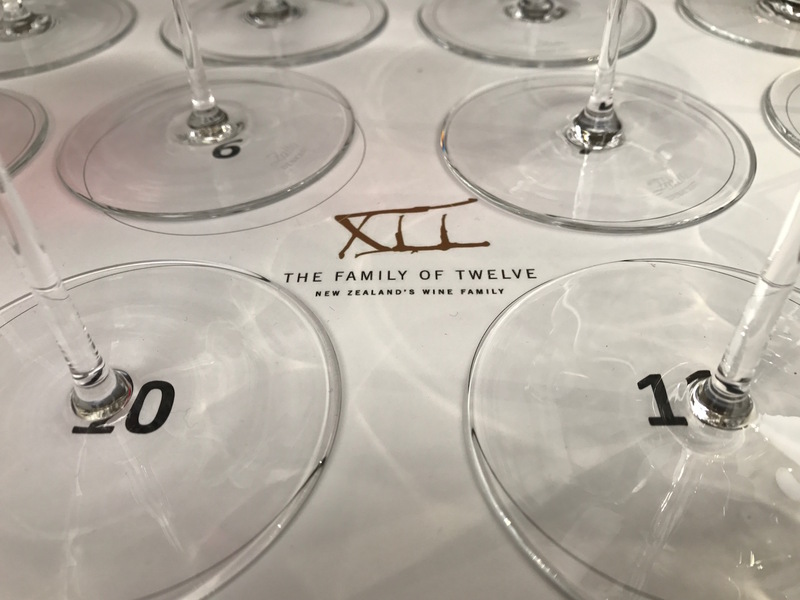 “Almost all of the Syrah plantings in New Zealand came from these 20 vines he rescued,” Hancock says. Limmer planted the first Syrah in Hawke’s Bay and released his first wine in 1986. By then, the Gimblett Gravels had been recognised as prime vineyard land but planting, almost inevitably perhaps, focussed on Cabernet Sauvignon and Merlot, something still reflected in the plantings today. Indeed, Merlot and Cabernet represent 25% of plantings, Sauvignon Blanc 28%, Chardonnay 21%, Pinot Gris 12%, Pinot Noir 7%, Syrah just 4% while the remaining 3% are a mix of varieties. 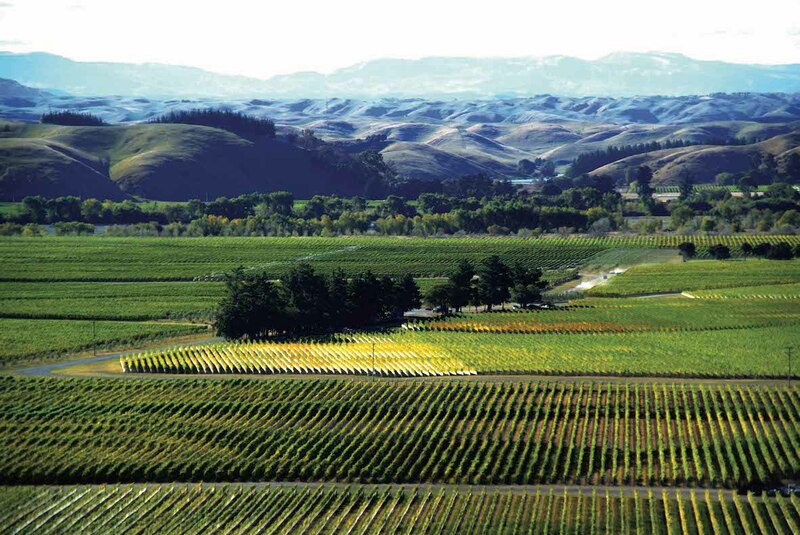 Astonishingly, at least for us in the UK, 63% of Hawke’s Bay’s total production is white wine – when we know it as a premium region for reds. Hancock and Skinner then showed us a zoned map of Hawke’s Bay, formed by the five main rivers of the region, depositing gravels and shifting the alluvial plains. The sub-regions are Esk River, Te Awanga, Heretaunga, Bridge Pa, Gimblett Gravels, Ohiti, Dartmoor, Mangatahi & Crownthorpe, Havelock Hills, Tukituki and Central Hawke’s Bay. Their differences are down to soil, how much clay is in the gravel and alluvial mix, their altitude and how close they are to the ocean. Nonetheless, across these areas, Hancock asserted, “Syrah is the style we can make our own.” Indeed, the wines certainly covered the full spectrum of Syrah: from fragrant, delicately red-fruited and peppery all the way to muscular, spice-tinged and full-bodied. Clearly the question is whether anyone will grub up Cabernet Sauvignon and Merlot in order to plant more Syrah, whether grafting over is possible and whether new plantings in the area will be predominantly of Syrah. Sub-zoning and increasing understanding of sites helps these winemakers to produce ever more unique Syrah styles, despite their limited plantings – and they are clearly on to something. 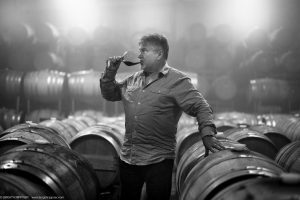 “Within Hawke’s Bay we believe strongly in Syrah and that we can make it our own,” Hancock says. 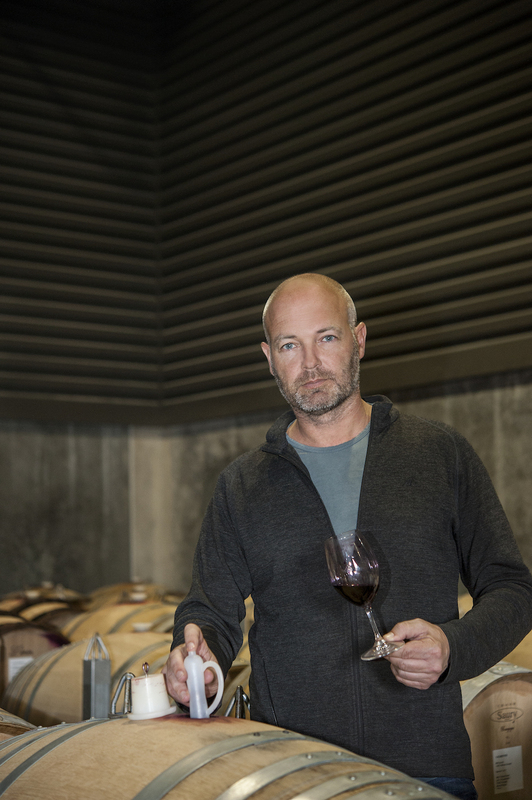 But like any sentient and sensible human confronted with the complex make-up of nature – especially one as gorgeous as New Zealand – he is humble: “It’s still early days for us in Syrah-making, we are still finding our way. We’ve hardly scratched the surface yet of regional styles. We see Syrah as the future; we are just trying to keep pushing things slowly to build a nice solid base.” Hurrah to that because we, the drinkers, are the biggest winners in this welcome, necessary and positive trend of profound understanding of land. 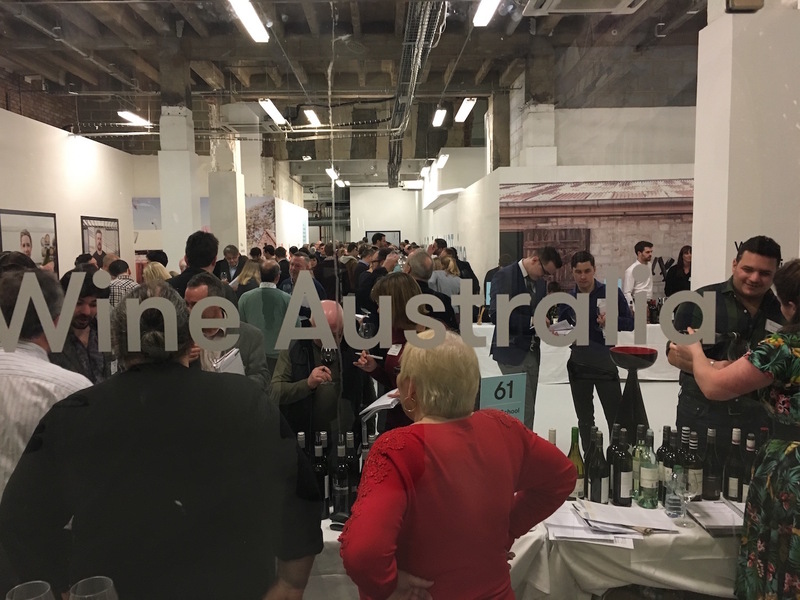 The wines shown, listed here not in their tasting order but according to sub-region, represent top wines made in small quantities. All of them had elegance and indeed showed a spectrum of styles – but all at a very high level of quality – often for great value prices. 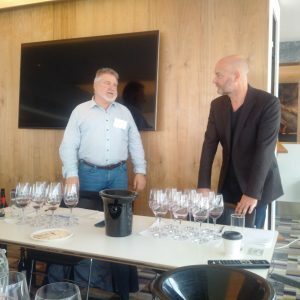 Te Mata Bullnose Syrah 2015 – a big, bold wine but very elegantly understated. One to keep and wait for.